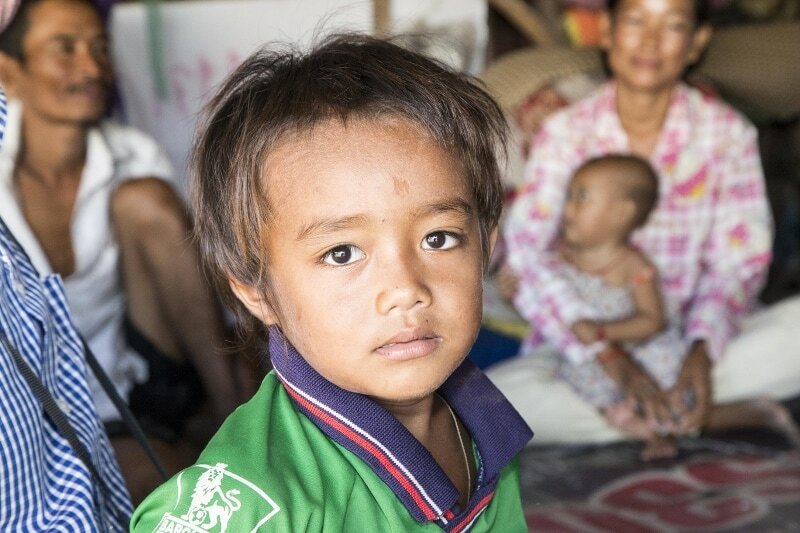 Hundreds of Phnom Penh’s poorest families live and work around the city rubbish dumps, the children working alongside their parents hunting for reusable garbage. This inspiring project provides a safe and happy education for the kids and in doing so aims to break the cycle of poverty by providing a route to a better life. The foundation has eight local employees, supported at any given time by a number of international volunteers. When the children go to school they can no longer work on the rubbish dump, so the project compensates this loss of income by providing rice to the family. Families are also supported in hygiene, health and wellbeing. The project has two locations to help children in need. After school the children can go to the Learning Centre where they can meet and make use of the library. The Learning Centre assists up to 150 children at any one time, these facilities being also made available to children from the wider neighborhood. 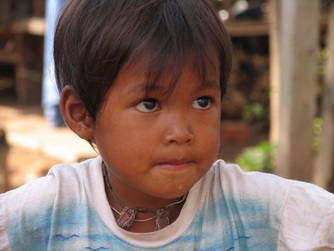 English lessons are considered very important for the children of Cambodia. A solid grasp of English enables them to be better connected with the outside world, whether through reading the news or connecting via social media. Tourism will undoubtedly play a huge role in the development and prosperity of future Cambodia, and good English is vital for those wishing to work in the industry. Your enthusiasm and care for these kids is of great value – bring lots of energy, heaps of patience and a great big smile and you will enjoy every minute – not only that, but the kids will love having you there too! 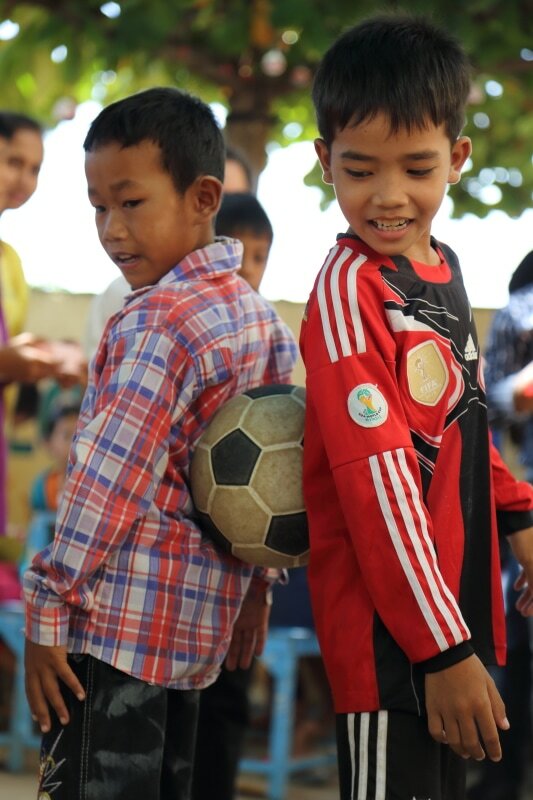 Play games, sing songs, help with their reading, teach English or computer literacy – laugh and have fun. Cambodia is a fascinating country with a turbulent history, and during your time here you’ll have plenty of time to explore and to learn all about it. Arrive at Phnom Penh International Airport (airport code PNH) and say hello to Cambodia. After clearing customs and immigration, you’ll be met by our local team and taken straight to your accommodation, a journey of under 30 minutes, depending on traffic. Arrive early or late, whatever your flight time we’ll be there at the airport with a warm welcome. Our coordinator will agree a time to meet with you tomorrow for orientation. After enjoying your first evening in Phnom Penh, your coordinator will meet with you for orientation, sightseeing and possibly some project visits. Orientation will take you through what you can expect from your project, dos and don’ts and how to stay safe. It’s also a great opportunity to ask any burning questions you’ve got. Afterwards you can relax, explore the city further and prepare for your first day at the project. Our co-ordinator will accompany you to the project on day 1, introducing you to the permanent local staff so you can start to help out straight away. Each day you’ll be picked up and will head to the project by tuk-tuk, the cost of which is included in your fee. These journeys are great fun as you weave your way through the traffic. By day 2 you’ll have started getting to know all the kids and these relationships will develop each day. You’ll generally be at the project between 9am and 3pm, Monday to Friday – working 2 hours in the mornings and 2 hours after lunch. Of course you are welcome to stay longer if you would like, but there is no pressure. Spend your free time as you please, your weekends are yours to enjoy. Make sure you check out the beautiful Silver Pagoda, Wat Phnom and Royal Palace. More confronting, but a must if you want to really understand this country, pay visits to the Killing Fields and Tuol Sleng Genocide Museum to learn about the horrors of the Khmer Rouge regime. Unless you have time after your placement finishes, consider a flying visit to Siem Reap – the vast temples of Angkor Wat are a sight to behold, and Siem Reap itself is a great little town. Alternatively, hit the beach at Sihanoukville – a bus journey of around 3 hours. Oh no …… no matter how long you’re here for, one of these days it will be time to say goodbye to your newfound friends. We’ll help organise the return airport transfer, but you should budget around $12 for the taxi journey. Your home will be a twin-share room in a Phnom Penh guesthouse, and you may be paired with another person (same gender, of course) if travelling alone. Our guesthouse prides itself on its super-friendly staff, its clean yet simple rooms and its position in a good, safe, central location with easy access to the markets, restaurants (they serve good food here too!) and the riverside. Rooms have private bathroom with hot shower, fan-cooling and may have a TV too. If you would prefer your own space and/or air-conditioning, a room upgrade is available on request. A prepaid meals package is available for $50 per week (Monday to Friday). This covers breakfast at the guesthouse and a packed lunch to take with you to the project. Dinners and all meals on weekends are at your own cost – meals out are cheap and the options endless. A safety deposit box is available at reception for your valuables. Bedding is provided – no need to bring a sleeping bag. Tuk-tuks are your local transport, and there will always be tuk-tuks available at your door – get around most of central Phnom Penh for about $2.50. Buses to Siem Reap are between $10 and $15 – the journey is around 6 hours. Cambodia enjoys a tropical climate, always humid and with temperatures defined as hot, hotter or really hot ! The dry season is November to April, hot season March to May, with the peak of the monsoon rains coming in September/October. ​Please ask us around a month prior to your arrival, so we can give an up to date picture of any resource requirements or shortages. You can of course buy things when you’re in Cambodia, which has the added benefit of putting your money into the local economy.